Pacific Rim is an all-new action fighting game inspired by the WB Pictures and Legendary Pictures film from acclaimed filmmaker Guillermo del Toro. Piloting weaponized robots known as Jaegers, Earth’s defenders must train their jockeys from rookie to ace in a Story Mode or challenge themselves to last as long as they can against waves of monstrous creatures, known as Kaiju, in Survival Mode. Do you have the skill to survive these battles? Time is short—so start building your lethal combat skills and weapons today or the world will pay the price! •Story Mode: Play over 30 levels and challenge monstrous creatures in intense combat inspired by the motion picture. •Custom fight Mode: Fight any Kaiju with your favorite Jaeger. •Survival Mode: Can you defend humanity from an endless wave of Kaiju? See how skilled you are with your customized Jaeger. •Command up to 9 different Jaegers with custom equipment and technology. 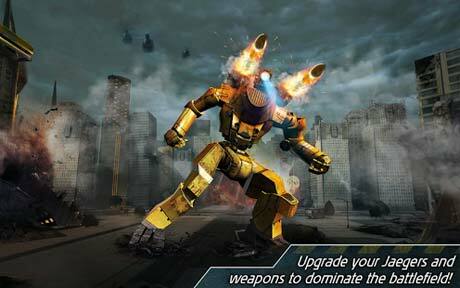 •Upgrade your Jaegers and weapons to dominate the battlefield. •Discover and research new technology to increase your armor, power and speed. 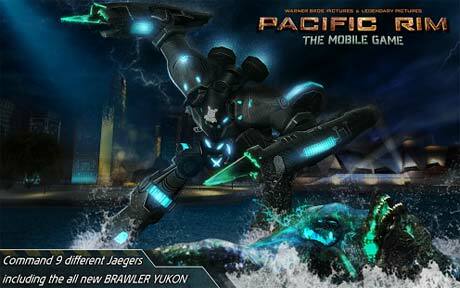 •The game explores the Pacific Rim universe with new events, Jaegars, and Kaiju not fully revealed in the film.